How to map the Volt SL-1 to physical controllers? 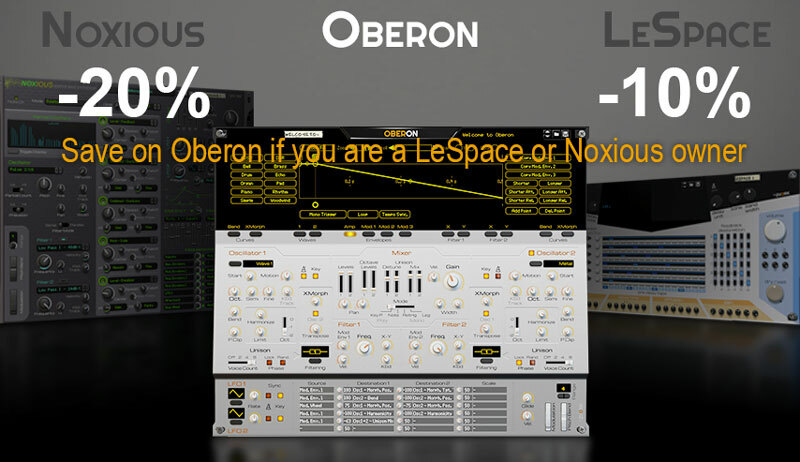 A number of you have had the issue of trying to map physical controllers either through MIDI or Remote to the Volt SL-1 control knobs only to discover that this has to be done for every control of every set. Each time, the current set is changed, the controls are no longer mapped. How frustrating, and we understand. Now why is this necessary? How more illogical can this be? Why the heck have we made it so complicated? 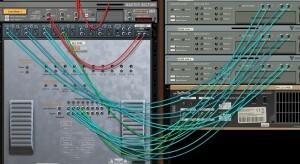 Well, it is due to how remote / MIDI mapping works in Reason and / or how rack extension GUI works. 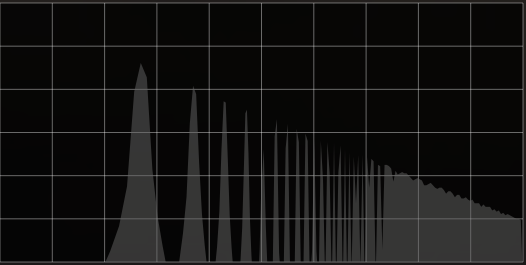 The mapping of knobs to MIDI controllers (or remote controllers) is in fact a misunderstanding. 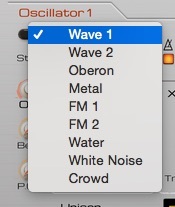 You are in fact mapping device properties to MIDI controllers, not the physical UI knob. A RE knob (button, fader, etc.) is itself mapped to that same property. 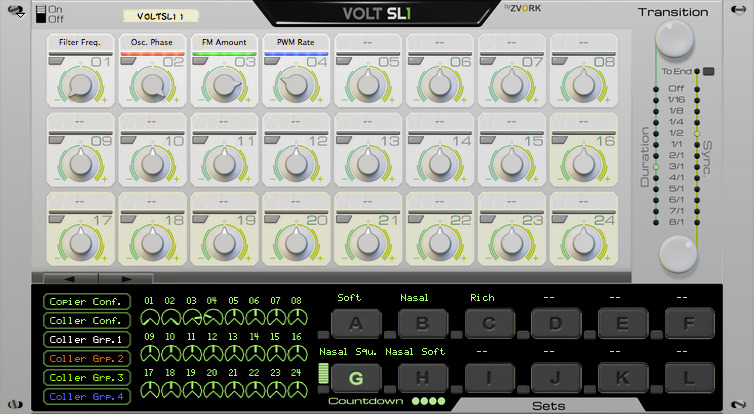 The Volt SL-1 works by switching the properties mapped to each control knob when you switch sets. 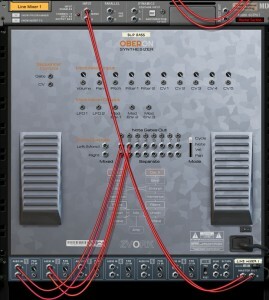 But the MIDI mapping still remains linked to the same property, which is no longer mapped to the control knob. Why do we do this, that is, change the properties linked to each knob, instead of keeping the same properties for each control knob and just change the value of that property when we change sets? Well, that’s because the RE SDK doesn’t allow us to do this. A RE engine cannot change the values of its properties, unless they are purely visual feedbacks like meters or blinking lights. In a nutshell, the RE engine can’t modify properties that the user can modify at the same time. I can’t really go into much detail as this would break the NDA every RE developer has signed with the Props. 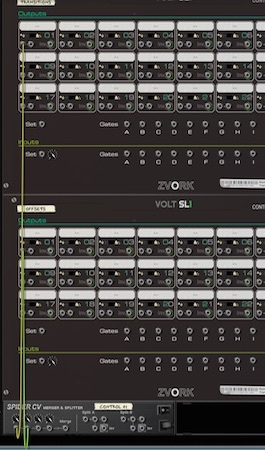 Another point to understand is that for a certain number of physical MIDI controllers, what you are asking won’t be perfect too because if we changed sets on the Volt SL-1, in some way, your physical MIDI knobs should rotate to the correct position. Unless you have alpha dials with a LCD display, this won’t be practical. The besk workaround we’ve found, is to use 2 Volt SL-1s. 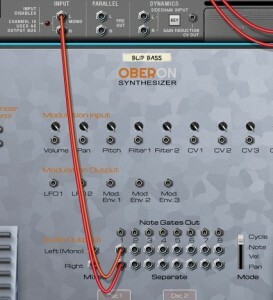 The first one is used for the basic set transitions, and can be considered like your usual SL-1. 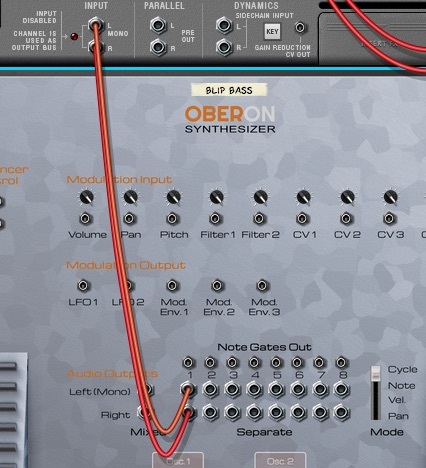 The second one is an “offset” controller that will remain on the same set all the time. 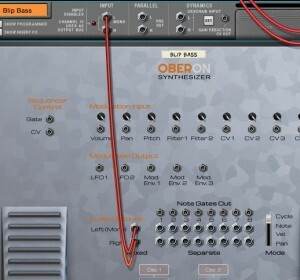 This one you can map to your MIDI Controllers. 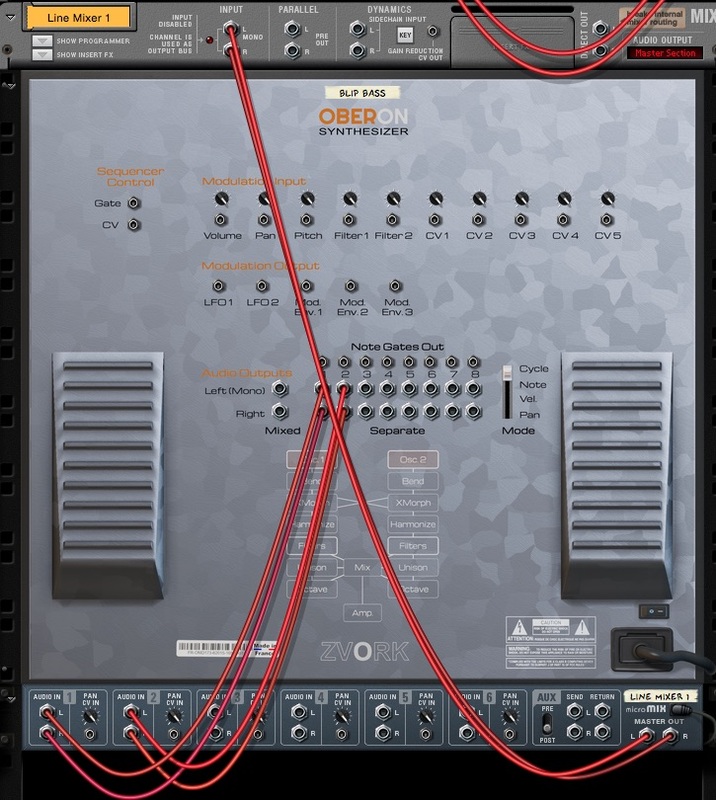 Then, on the back panels, you just have to merge the CV control outputs of the first SL-1 with the second one in bipolar mode, for each controls you are using, and then use that signal as usual. 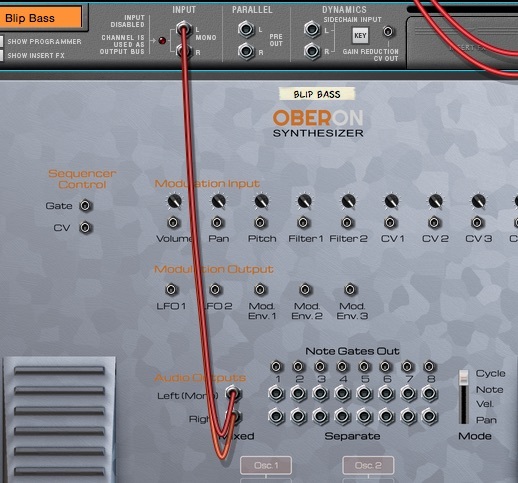 Your MIDI controller can then be used to offset the control values (not replace them). 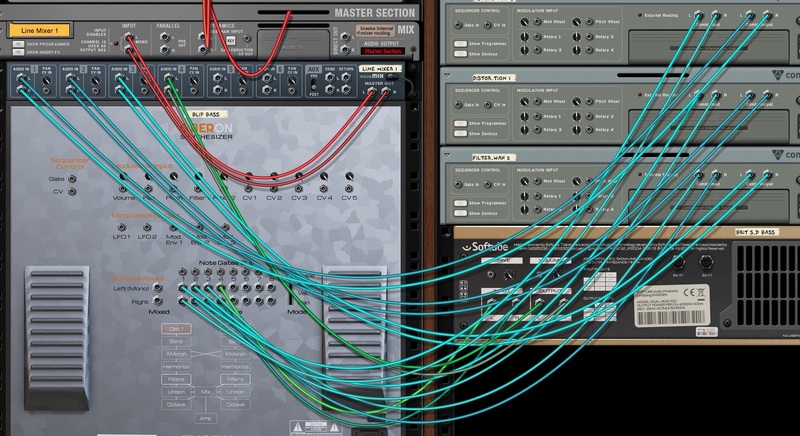 It creates a whole lot of cable clutter, but it works. Since we don’t want you to loose time on this, a ready-made combinator is available to download with this particular setup.